Our organ, the E & GG Hook Opus 476, is the oldest operating pipe organ in Colorado; and, was built by a cabinet maker's sons, George and Elias Hook, in 1869, in Salem, Massachusetts. It is in a beautiful free-standing walnut case with Victorian-stenciled facade pipes. Originally purchased by the Methodist Church in Lawrence in 1869, it remained there until 2009, when it was acquired by St. John's Episcopal Cathedral in Denver. 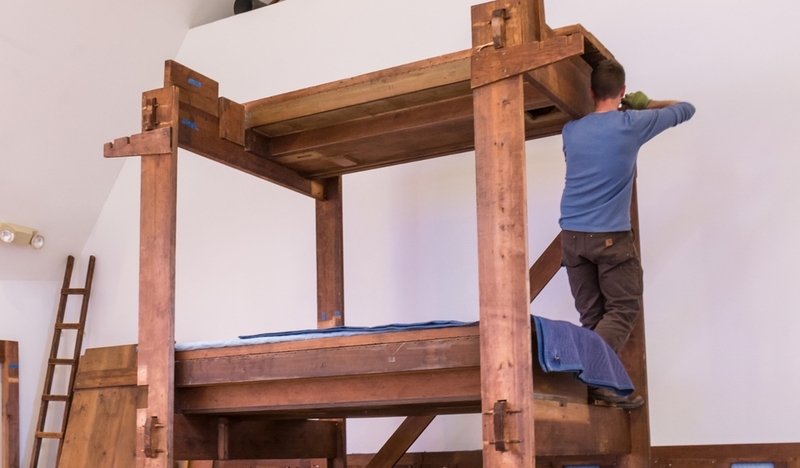 It was transported to Denver, restored, and served the Cathedral while their pipe organ was being refurbished. On January 22, 2016, the entire organ was disassembled and began the short journey up Highway 36 to Broomfield. 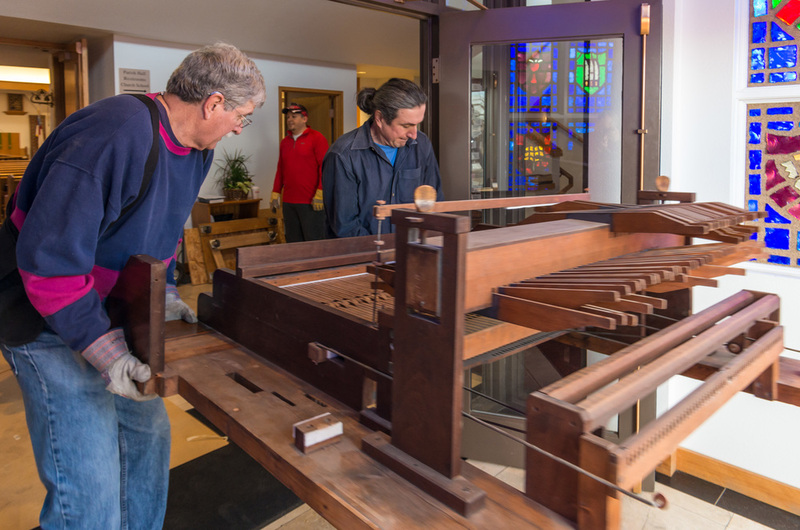 After countless volunteer hours just to get the area prepped and all the parts moved, Jim Steinborn began the painstaking process of rebuilding an historic organ, onsite at Holy Comforter. Before the 777 pipes could be put back in place, the cabinet had to be rebuilt by hand, and the entire tracker mechanical action reassembled. 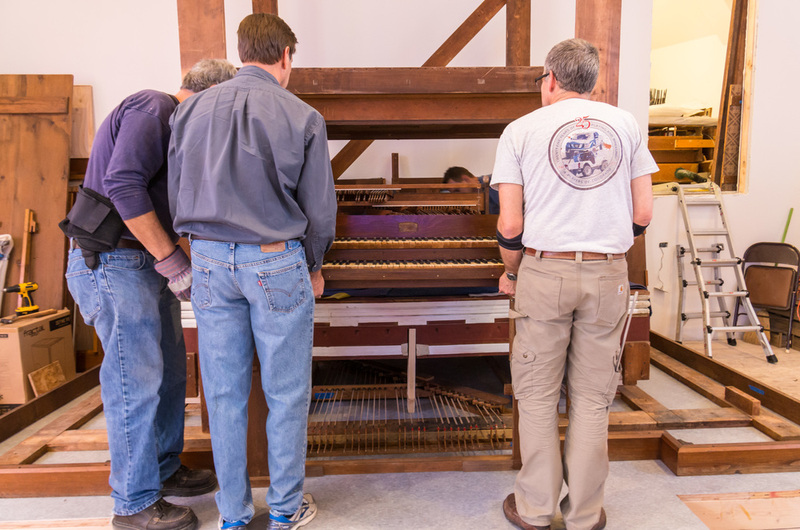 As he rebuilt the instrument, Jim performed needed repairs to various parts of the organ, and took care to use materials and processes that mimic those used by the builders in 1869. 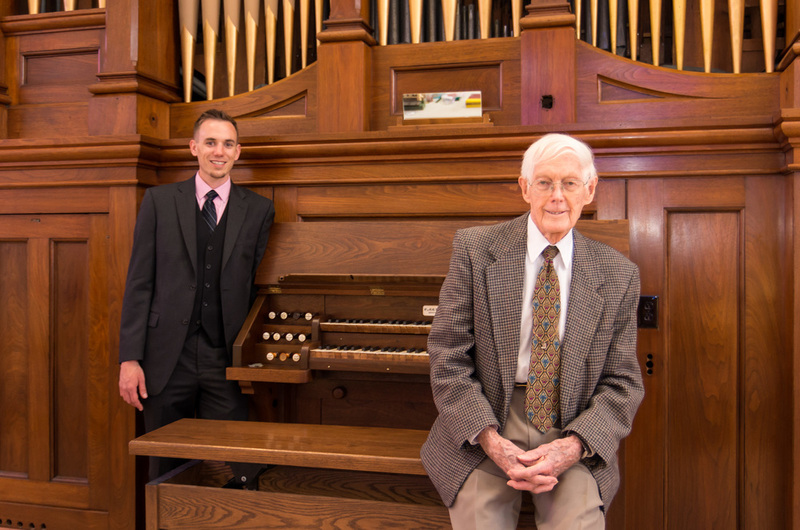 As proud caretakers of Colorado's oldest operating pipe organ, we invite you to come hear its magnificent sound, then take moment to view this beautiful instrument. It can be heard every Sunday at 8:30 AM and 10:45 AM Holy Eucharist, and at various concerts and recitals throughout the year. Please contact organist, Ben Ehrlich, or Director of Music, Mary McIntire for more information or to inquire about a recital date.